The most prevalent financial problem Americans face month in month out is the inability to afford their medicines. That’s according to a monthly national poll by Consumer Reports National Research Center. Indeed, medication in the U.S. can cost up to twice as much as it does in other parts of the world, so many bargain hunters turn to the Web seeking discounted, name-brand prescription drugs from Canada or other countries. But recent analysis has found that buyers should beware: Only a fraction of online pharmacies are legitimate. Our medical consultants say that given such risks, ordering from foreign websites should be avoided altogether. Of the more than 8,300 online pharmacies reviewed in July 2011 by the National Association of Boards of Pharmacy (NABP), which accredits online drugstores in addition to representing state pharmacy boards across the U.S., just over 3 percent appear to be sound. It considers the rest to be “rogue” operations. The problem with websites selling medication from other countries is that there’s no way to ensure their safety or legitimacy. The FDA doesn’t have the authority to regulate foreign versions of medicine purchased by people over the Internet, so their ingredients might be unknown. Also, the drugs may not have been approved by the FDA (as in the case of generic versions of drugs not yet approved in the U.S.), or foreign regulatory agencies might not have approved the medication, either. And for those seeking safety by ordering specifically from Canadian websites, there’s something else to consider. “Many of the Canadian sites aren’t Canadian at all,” says Carmen Catizone, NABP’s executive director. While there are legitimate online Canadian pharmacies regulated by Health Canada, a government agency similar to the FDA, Canadian pharmacies that ship prescription medication to the U.S. aren’t subject to Canadian regulatory authority, according to the U.S. Department of Justice. A spokesperson for Health Canada declined to assess the specific risks posed by these websites to Americans but did point out the Canadian government’s own warnings to its citizens about the risk of purchasing drugs on the Internet. generics. We’re usually a big fan of generics but only when they’ve been officially approved by the FDA. (Nexium and Lipitor don’t have approved generics in the U.S. market yet.) Since the researchers determined that the generics couldn’t be compared with the brand-name drugs, they weren’t tested to determine if they were counterfeit. And in 2008, the European Alliance for Access to Safe Medicines, an industry-funded group, ordered drugs from 116 websites. They included some that were suspect, such as those identified by e-mail solicitations and web searches using terms like “online pharmacy” and “cheap medicines.” The study found that over 90 percent of the websites didn’t require prescriptions to sell prescription-only drugs, and nearly 85 percent didn’t provide information linking them to a verifiable walk-in pharmacy. Tests also found that 62 percent of the medication received was counterfeit, substandard, or in a generic form not licensed by the original developer. 1. Stick with online pharmacies associated with legitimate walk-in stores in the U.S. CVS.com, Target.com, and Walmart.com, for example. Even your local independent pharmacy probably has a website that can accept prescription orders and refills. 2. Look for the VIPPS symbol. For other pharmacies, check with Verified Internet Pharmacy Practice Sites, or VIPPS, a voluntary program the NABP set up in 1999. Internet pharmacies that meet the criteria can carry the VIPPS seal of approval. Among the requirements: pharmacies must be in the U.S.; they can dispense only FDA-approved medication; prescriptions they fill must be the result of a doctor-patient relationship; and they must list their physical location. 3. Try another source. LegitScript.com uses NABP standards to assess drugstores that don’t participate in VIPPS. 4. Confirm state approval. Make sure an online pharmacy is registered to do business in your state. To find out, do a search for, say, “California board of pharmacy” and follow the links to verify that the site is legitimate. 6. Go local. Your best resource is a trusted pharmacist or pharmacy distribution program. 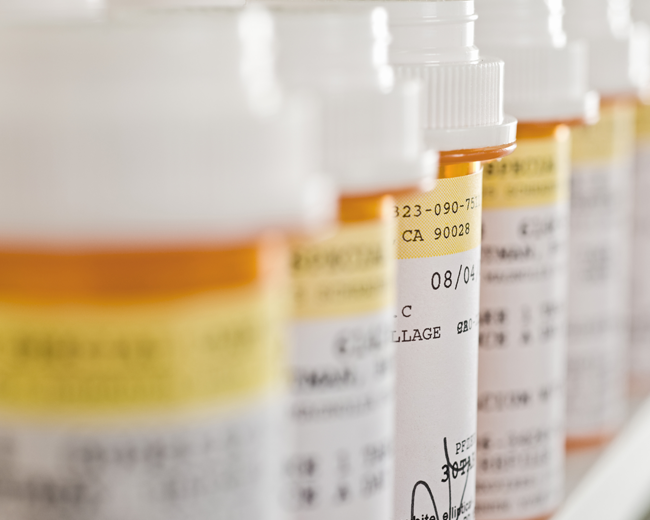 Although rare, counterfeit drugs have been found in the U.S. supply chain. Bottom line: Given the high risk of ordering medication from foreign websites, stick with well-known websites, walk-in pharmacies, and pharmacy chains in the U.S. To save money, switch to generics whenever possible, look for discount programs, and ask your doctor or pharmacist about other ways to reduce your costs. These materials are made possible by a grant from the state Attorney General Consumer and Prescriber Education Grant Program, which is funded by the multi-state settlement of consumer-fraud claims regarding the marketing of the prescription drug Neurontin (gabapentin).